The Château de Versailles, which has been on UNESCO’s World Heritage List for over 30 years, is one of the most beautiful achievements of 18th-century French art and architecture. 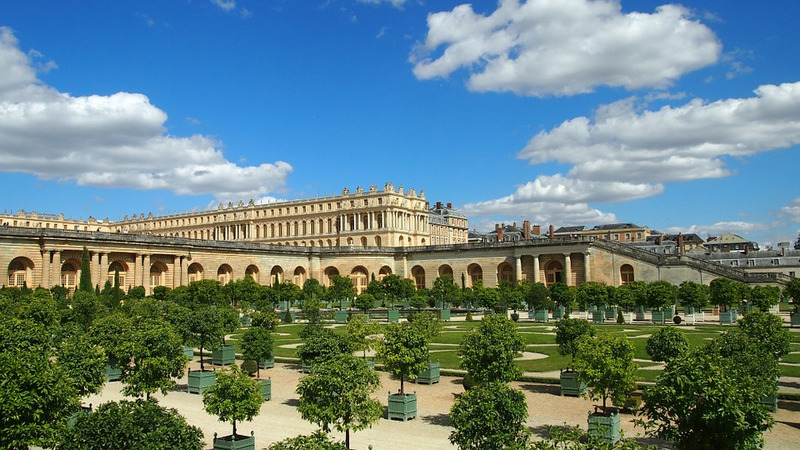 Feel like you’re transported back in time to the days of Louis XIV or Marie Antoinette at the magnificent Versailles. Just a short distance from Paris, the ornate splendour of the 17th century palaces and gardens were once the most powerful location in the world. First installed by Louis XIII, and then improved by Louis XIV, the main palace, Grand Trianon, Petit Trianon and Marie Antoinette’s Estates are fully accessible for visitors. From the grand palace’s majestic hall of mirrors, to Marie Antoinette’s intimate feminine estate, prepare to spend an entire day to fully soak in the luxurious palace grounds. 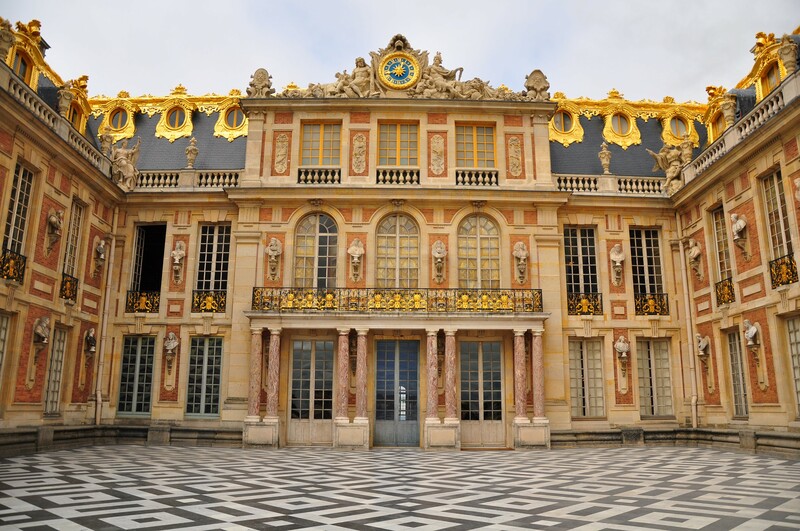 Lived in by three kings, The Palace of Versailles was originally intended as Louis XIII’s hunting lodge. His son Louis XIV moved the royal court and government to Versailles, adding massive expansions and improvements in 1682. 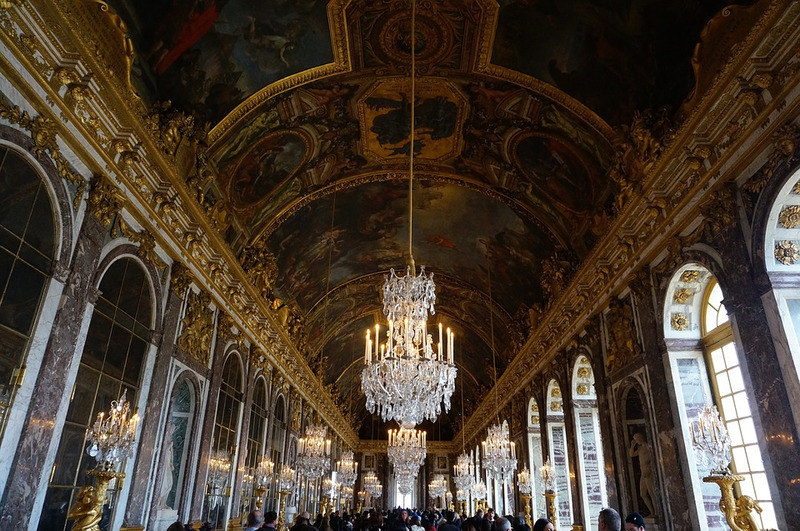 Follow the footsteps of Louis XIV by walking down the same hallway he passed everyday and see his Royal Bedchambers, State apartments and The Hall of Mirrors. Decorated in rich blues and gold with sumptuous crystal chandeliers, the majestic room was used as a war drawing room as well as for grand receptions and royal weddings. 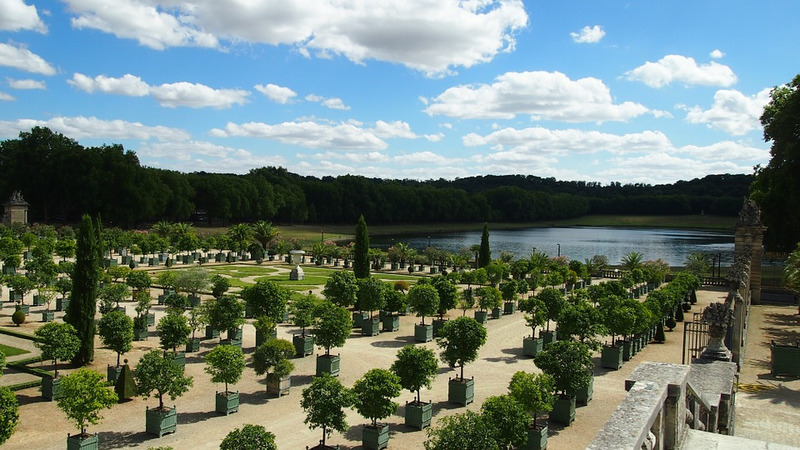 The gardens of Versailles are a sight to behold. If you don’t want to pay a nominal fee to take a trolley, be prepared to walk and wear comfortable shoes. Perfectly hedged trees, rainbows of flowers and imposing fountains decorate the gardens like something out of a painting. In honour of Louis XIV, musical fountain shows still frequent the garden every 10 minutes from 10 am to 6:30 p.m. Set in time to classical music, see the mythological Greek carved statues come to life per the King’s request. Intended as a far away haven for Louis XIV, the Grand Trianon constructed in 1687-1688 was designed by Jules Hardouin-Mansart. Louis XIV would occupy the Trianon in the summer with his mistress Madame de Montespan. Influenced by Italian architecture, the single-story palace captures the grandeur of the Grand Palace yet still maintains a less formal feel. Lined with pink marble columns vibrant greenery, and French style gardens, the Trianon was the perfect summer escape for a life of strict formality. For all the splendour of the Versailles itself, the Petit Trianon of Marie-Antoinette is a must. The cake-gobbling queen lived in apartments that perfectly suit the world’s pretty, powdered image of her. In lilacs and pistachio green rooms, you can almost hear the rustle of pastel-coloured silk moving between the furniture. The famous portrait with the young queen looking coyly over a rose, hangs in one of the upstairs rooms. There is very little furniture on display, and many of the downstairs rooms are more like stone passageways. But the light and air is a relief after the heavy luxury of the chateau, and it is generally quieter (being a considerable walk away). The gardens, too, follow a friendlier pattern. The grass rises and falls around the shrubbery, and winding paths lead to little caves and ponds. Weary visitors are safe to sit on the lawns without fear of punishment.